Pet friendly holiday at Quaker Cottage. These are the reviews for Quaker Cottage. There are 45 reviews. Quaker Cottage exceeded our expectations - better than in the picture. Great location. Newly refurbished. Good kitchen and bathroom. underfloor heating. Had a great week - will be back! 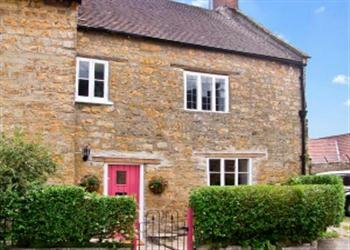 Very comfortable cottage and centrally located in Sherborne so no need to take the car. Very comfortable cottage and centrally located in Sherborne so no need to take the car. Can recommend the tasting menu at the Eastbury Hotel if you like eating out. Great bank holiday break for three + small dog, location was spot on parking £3 a day very short walk, town had some nice shops and coffee shops, good base to explore coast and Somerset. The cottage was as described in the advertising, comfortable and cosy, the parking was a bit of a pain and some would find this awkward, having said this ,we did have a lovely week and the people of Sherborne were very friendly. Would book again. 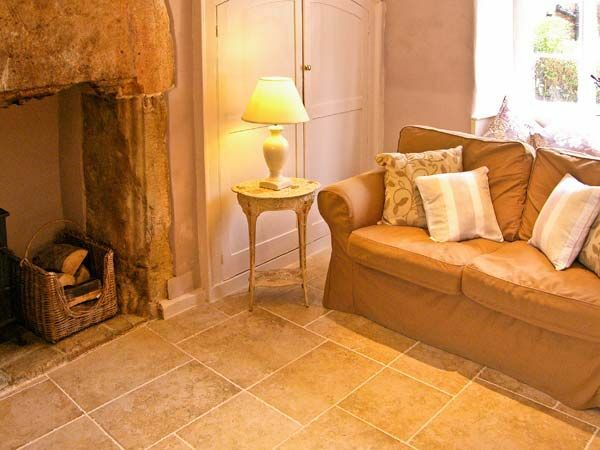 Quakers Cottage is comfortable, quaint and finished to a high standard throughout. It's in a great location for touring Dorset and Somerset and Sherborne has all amenities within walking distance. The cottage was perfect,the area beautiful,and the weather was perfect.The only issue was the parking,unable to park outside the cottage,but there was a car park behind the cottage.Also to welcome us we found milk in fridge,lovely flowers and scones for our tea.All perfect.Thank you. The cottage was lovely, just as nice as the photos, and Sherborne was beautiful. Beautiful quaint Cottage situated in a fantastic position a minute away from the High Street. Lovely soft furnishings straight out of 'Country Life' or 'House Beautiful'. Wonderful area with easy access to so many different attractions. The cottage was fabulous it had everything you need for a week on holiday. Location. It was a perfect bolthole; warm and cosy. WiFi a real bonus. A lovely place to visit and lots of nearby places to visit. The abbey is quite amazing well worth a visit. Good facilities in Sherborne. A cosy comfortable cottage. The equipment in the cottage was good and the linen of a very good standard. Great cottage - clean, warm, convenient and a stone's throw from Sherborne High St. Top-class mattress too in main bedroom, had a very pleasant night sleep! Lovely walks out of town into the surrounding countryside. Very easy to book and easy to find! We had a fantastic long weekend at Quakers Cottage! We just loved the cottage from the start. Quaint and beautifully furnished. It was very quiet which was what we wanted. A charming and very convenient cottage. Liked the welcoming touches waiting for us. Loved the location and the accommodation lived up to expectations. We would certainly like to come back. Proximity to town and places of interest to visit is great and we did stay here before but parking is a real pain especially with children. Inside the cottage is well presented and pretty bedrooms. Quaker Cottage is located within walking distance of all of Sherborne’s amenities and attractions. Sherborne itself, being on the A30 trunk road, gives easy access to the surrounding area. Sherborne is an excellent base from which to explore Dorset and Quaker Cottage was the perfect place to stay. Central location, comfy cottage. Felt like home. The central location in Sherborne really can't be beat. The cottage was super cosy and really comfortable. Lots of lovely hot water from the excellent shower too. Parking just behind the cottage in a public car park was convenient and really reasonable. The fact that Quaker Cottage was pretty much next to a toy shop, a knitting shop and an artisan bakery made it hugely perfect for all my family! The cottage was cosy and comfortable. In a great position for exploring the area. Great central position in Sherborne. The cottage was very clean and furnished perfectly. The property was more than we could have hoped for. A lovely place to stay. Also we love The George pub, publicans were very helpful. What a lovely character cottage, just great for the two of us, and the open plan design to keep things light and airy even on a dark and rainy day! We would like to come again in the winter and use the wood burner! The cottage had everything you would want for a comfortable enjoyable holiday. It was close to everything in Sherborne. Excellent location and lovely cottage. Sherborne was lovely and there was lots to do near by. The cottage was perfect as a holiday let, just what you would expect. The town was very pretty and the cottage was superbly located for shops, restaurants and pubs. The local people were also very friendly. The cottage was in the town so no driving was needed at night. Shops were very convenient. The public car park was very near and reasonably priced. We liked Sherbourne and the people were friendly. Perfect property situated in a lovely town! Sherbourne was a beautiful village - the cottage was lovely and very dog friendly. Great quality with excellent furnishings, proper appliances and a well stocked kitchen. Sherborne is a beautiful town with lots of independent shops. The cottage is located at the top of the main street with parking close by. The location is quiet and the cottage very comfortable and well decorated. I thought everything was genuinely great, from the thoughtful touches - like a small Christmas present, crackers and tree - to the general aspects like very comfortable beds and tasteful décor. The cottage managed to have the perfect blend of feeling homely and welcoming, like it was a 'lived' in property, without being twee, cluttered or overdone. Superb and we'll be coming back. Wonderful location in Sherbourne, excellent reception by the owner and her daughter, she even baked us a cake! Wonderful reception by the owner and her daughter. Sherbourne is a truly delightful town and Quaker cottage was great to come home to after a day`s sightseeing. The cottage was very tastefully decorated and immaculately clean, nice and close to all amenities and a wonderful getaway from our usual day to day life. We have already recommended it to several friends and would definitely return. Lovely renovated old cottage with all modern facilities. Lovely beds, with luxury cotton sheets. Shops and pub on the doorstep. If you're looking for other cottages around Quaker Cottage, we've got some cottages below which may take your liking. There are 22 cottages within 5 miles of Quaker Cottage - and they have reviews too.